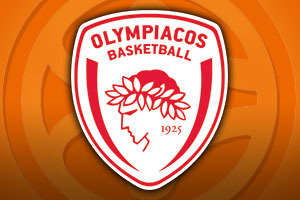 Spread Pick: Olympiacos with handicap -1.5 at 1.90 Over/Under: Over 143.5 1.90 Bet Now! You quite often find that Euroleague games hold special memories for players and coaches as they return to battle against a team that served them well. This will be the case in this game for two people associated with the Efes camp. Head coach Dusan Ivkovic and forward Stratos Perperoglou both experienced wonderful times with Olympiacos, with both of them picking up a Euroleague title during their time with the Greek club. Events like this add a neat twist to basketball games, but there are plenty of indicators which suggest that this game is going to be a cracker. 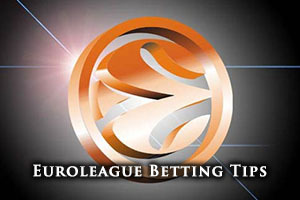 We are always aiming to offer you the best Euroleague basketball betting tips and with this game, you can expect a tough match and with both teams having strong defensive records, you may not see a lot of points, but you will see action. This is the 28th time that the two teams have faced each other, and Olympiacos can also call on a player that has played for their rivals, with Oliver Lafayette having spent time with the Turkish side. The Istanbul side holds an 8-6 record in the Euroleague so far, a 6-4 record in the regular groups and a 2-2 record in the Top 16. They have managed to score an average of 73.4 points per game in the Euroleague so far this season with a number of key players coming to the fore. Dario Saric, the Croatian forward has been a key player, grabbing an average of 10.9 points per game and an average of 5.8 rebounds per game. Dontaye Draper has also been in excellent form, the American guard offering up an average of 7.6 points per game and an average of 3.7 assists per game. Stephane Lasme has also been in decent form, providing an average of 7.4 points per game. The team from Istanbul are doing very well domestically, sitting in 1st place with a 12-4 record. In their last outing, they enjoyed a comfortable 77-67 home win against Royal Hali. With a 12-2 record in the Euroleague so far this campaign, sitting with an 8-2 record in the regular group and a 4-0 record in the Top 16, Olympiacos are in great form. They have notched up an average of 74.9 points so far this campaign and of course, Vassilis Spanoulis, the Greek guard, has been in excellent form. He has provided an average of 17 points per game while also offering an average of 5.6 assists per game. The Greek side have also been boosted by two US forwards, Othello Hunter and Bryant Dunston. Hunter has provided an average of 8 points per game and Dunston has offered up an average of 7.9 points per game. In Greece, the team has also been performing, sitting top of the table with a 13-1 record. The last domestic outing for Olympiacos was a 56-67 away day win against Apollon Patras. This game could go either way, but there is something about Olympiacos that makes them worth backing and you will find that Bet365 has the team at odds of 1.90 with a handicap of 1.90. If you are looking to take part in the Over/Under market, remember that both teams have a strong defensive record. However, going Over 143.5 isn’t a bad bet, and again, Bet365 will sort you out with this bet. With a lot riding on this game, it should be a great spectacle so if you want to watch Anadolu Efes Istanbul v Olympiacos Piraeus live on Friday the 29th of January, we can make it happen. Bet Now!